How could the man no one thought would make it through the primaries clinch his party’s nomination for the highest office in the land? When “The Donald” dramatically descended the Trump Tower escalator in New York last June to announce his candidacy for president, pundits treated him as a mere curiosity who wouldn’t make it through the first few GOP debates, let alone clinch the nomination. So, one is left to wonder: What is it about this rank political amateur that enabled him to rise above a throng of more credible, experienced rivals? To answer that question, a team of investigators at the Unit for the Study of Personality in Politics at the College of St. Benedict and St. John’s University embarked on a project to develop a psychological analysis of Trump, publishing their initial results in the Times one year ago. (“Trump driven by narcissistic dreams of glory,” Aug. 9, 2015). This summer, we conducted a follow-up study, again using our locally developed instrument, the Millon Inventory of Diagnostic Criteria. It confirmed last summer’s findings. People who score high on both the ambitious and outgoing MIDC scales, such as Trump — and before him former President Bill Clinton — are extraordinarily self-confident and gregarious. They are adept at self-promotion and social influence and are noted for their high ambition, relentless drive and boundless energy. However, they tend to be undisciplined and are prone to scattered or superficial thinking and thoughtless judgments, tending to act impulsively without carefully considering the consequences and driven more by personal self-interest than by altruism or the larger public interest. Trump’s personality profile also includes a high level of dominance, which accounts for his chronic combativeness, seeming inability to resist personal attacks, and a tendency to go off-script, often at the expense of his political viability. Dominance in a candidate is a positive personality trait when properly managed. Voters view it as an indicator of strong leadership, which is particularly appealing to conservatives, though less so to liberals. Republicans place a higher premium on toughness than do Democrats, favoring a muscular military, maintaining law and order, beefing up border security, and so on. But excessive dominance could hamstring Trump in the general presidential campaign. To expand his appeal to moderates, independents and women Trump will have to soften his image. Donald Trump: President of the United States is not a title many people would have associated with the reality television star of a little more than one year ago. And yet his sagging poll numbers notwithstanding, there remains a distinct possibility Trump could add that very title to his conquests. From the perspective of the psychology of politics, the secret to Trump’s success is his combination of self-confident narcissism, engaging extraversion and commanding dominance, unfiltered by even a hint of conscientiousness — which makes a candidate appear stiff and formal (think Al Gore) — or introversion, which renders a candidate aloof and secretive (think Richard Nixon) in the public mind. Trump is not the only candidate to have perplexed pundits at the polls in recent political history by some combination of narcissistic, outgoing and dominant personality traits, foremost among them Bill Clinton and George W. Bush — two men who share key characteristics with Trump. The highly extraverted, narcissistic Clinton most closely resembles Trump, though he lacks Trump’s aggressive dominance. Bush, in turn resembles Trump in terms of dominance and extraversion, but unlike Trump, is not a narcissist. Trump shares Clinton’s burning ambition and sociability and Bush’s toughness and extraversion — though surpassing them on all counts. Since the advent of televised presidential debates more than 50 years ago, extraversion, narcissism and dominance have been highly predictive of electoral success, especially the Clintonian outgoing-narcissist mix, which yields political charisma. Given Trump’s bounty of beneficial personality traits, which stand in stark contrast to the less favorable personal qualities of his Democratic rival, and given today’s political climate, which appears primed for change, the 2016 presidential race is Trump’s to lose. Unfortunately for Trump, that’s exactly what he’s doing, with a lethal combination of sparse political experience and a level of impulsiveness that renders it a near-impossibility for him to run a winning presidential campaign. This is the opinion of Anna Faerber, St. Cloud, a first-year psychology major at the College of St. Benedict and St. John’s University, where she is a summer research fellow in the Unit for the Study of Personality in Politics, directed by Aubrey Immelman. This is the ninth in an occasional series of personality profiles of candidates in the 2016 presidential election. 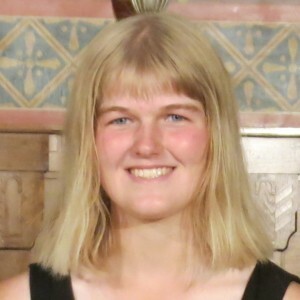 Anna Faerber is a research assistant in the Unit for the Study of Personality in Politics led by associate professor Aubrey Immelman at St. John’s University/College of St. Benedict. Immelman specializes in the psychological assessment of presidential candidates and world leaders. A similar commentary about Hillary Clinton is planned for Aug. 28. Previous story The Political Personalities of 1996 U.S. Presidential Candidates Bill Clinton and Bob Dole.